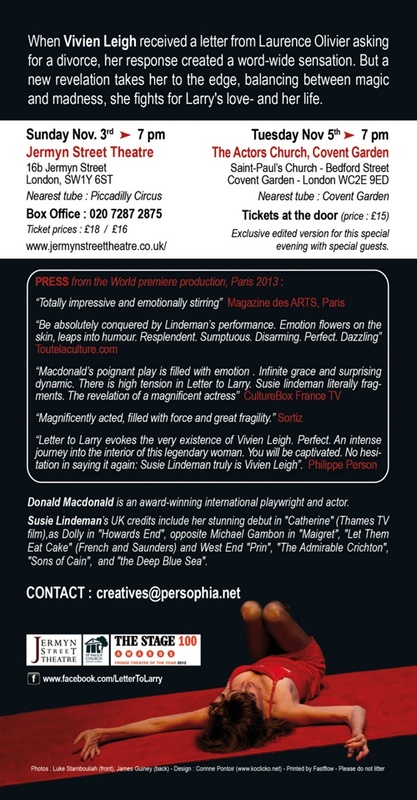 Letter To Larry was the focus in London on the centenary of Vivien Leigh's birth in London's West End. The venue, being the Actors Church, Covent Garden- where Vivien's plaque is held- attracted co-stars, friends, fans, the public and the profession. It also played the heart of Hollywood at the Hudson Theatre. 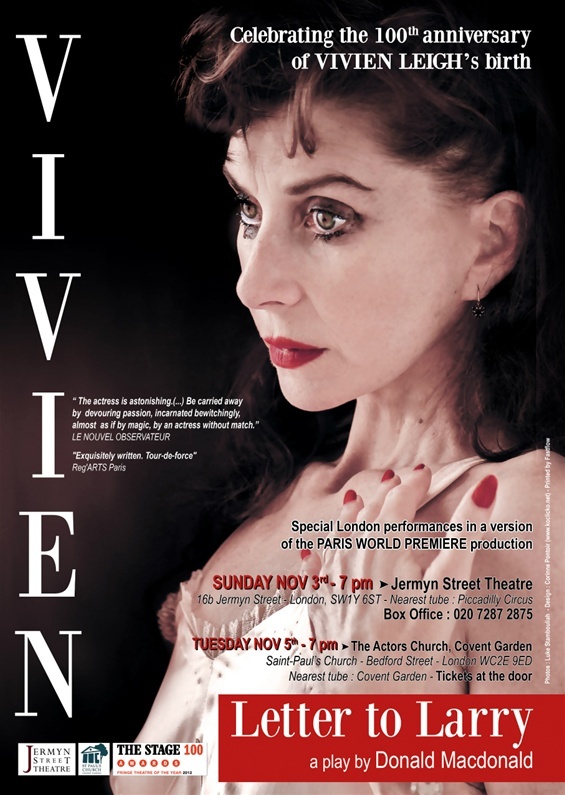 "Susie Lindeman was heartbreaking and brilliant in her portrayal of Vivien Leigh in 'Letter to Larry' at the Actor's Church, Covent Garden."